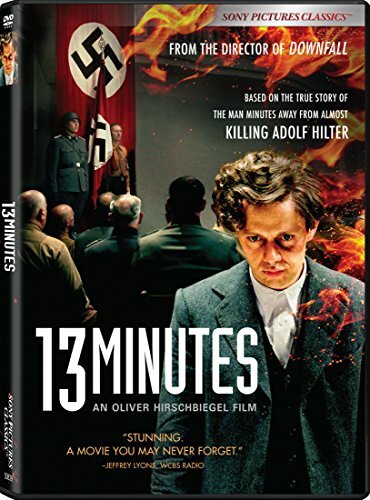 Georg Elser attempted to assassinate Adolph Hitler on 08 Nov 39 by planting a bomb in the beer hall where he was to speak, but the Führer cut his speech short by thirteen minutes. CBI - China: Day 30 of 41 of the 1st Battle of Shanghai. CBI - China: Day 57 of 142 of the 1st Battle of Hebei. CBI - China: Day 6 of 9 of the Battle of Rehe. Japan: Day 1 of 4 of an ambitious coup attempt in Japan. Socialist junior Army officers of the Kōdōha faction with 1,483 soldiers attempt to overthrow the Prime Minister and his cabinet, demanding reorganization of the government. 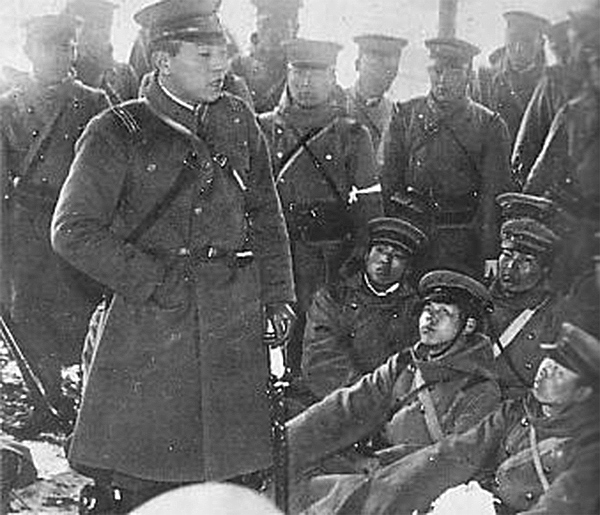 1st Lt Niu Yoshitada and his company during the Ni-Ni-Roku (2-2-6) uprising, named after the date of the rebellion. At the time, the incident was called the "deplorable incident in the capital." The rebel troops assassinate the finance minister, a former prime minister and a dozen other statesmen deemed anti-military by the young officers in charge. With Tokyo seized and the assassination of half of the standing government, it's anybody's guess as to how history might have changed had this coup been successful or had it never even occurred. But because it did happen and it did fail, the dead cabinet members were replaced with pro-military men, and General Hideki Tojo, who had crushed any possibility of the rebellion's spread throughout the military, was rewarded by a grateful Tokyo with leadership posts that led to his being appointed Prime Minister in 1941. This was a turning point in world history that will put Japan firmly on a path toward an ambitious collision course against the Western Powers. Why Did Japan Declare War on the World? This Ni-Ni-Roku uprising is one of two dates in WWII that impacted future events like no others. Sure, you can look at countless battles and campaigns in the following decade and imagine what might have happened if they had ended or unfolded differently, but any of them would likely have only changed the duration of the war and not the final outcome. Spain: Day 225 of 985 of the Spanish Civil War. Spain: Day 590 of 985 of the Spanish Civil War. CBI - China: Day 235 of 2,987 of the 2nd Sino-Japanese War. Day 20 of 124 of the Battle of Henan. Spain: Day 955 of 985 of the Spanish Civil War. CBI - China: Day 600 of 2,987 of the 2nd Sino-Japanese War. Finland: Day 89 of 105 of the Russo-Finnish War. CBI - China: Day 965 of 2,987 of the 2nd Sino-Japanese War. Day 104 of 381 of the Battle of South Guangxi. Day 30 of 67 of the Battle of Wuyuan. ETO - UK: Day 174 of 258 of the Blitz. ETO - Spain: Spain's Franco, in response to Hitler's appeal to enter the war, says "I stand today already at your side, entirely and decidedly at your disposal." But he still refuses to enter the war. East Africa: Day 262 of 537 of Italy's East African campaign in the lands south of Egypt. East Africa - Eritrea: Day 22 of 56 of the Battle of Keren. CBI - China: Day 1,331 of 2,987 of the 2nd Sino-Japanese War. Day 28 of 31 of the Battle of South Henan. CBI - Thailand: Day 149 of 221 of the Franco-Thai War (Vichy France vs Thailand). Atlantic: Day 44 of 169 of Germany's Second "Happy Time," during which U-boats sink 609 Allied ships with little risk. The RAF launches an attack against the battleship GNEISENAU, which is being repaired at Kiel's floating dock. Damage is severe enough to keep the battleship out of the war. Russian Front - North: Day 172 of 872 of the Siege of Leningrad. Russian Front - North: Day 19 of 102 of the Battle of the Demyansk Pocket, another failed attempt to break the siege at Leningrad. Russian Front - North: Day 35 of 103 of the Battle of the Kholm Pocket. Another attempt to break the siege at Leningrad. Russian Front - Center: Day 50 of 103 of the Battle of Vyazma, Russia. Russian Front - Center: Day 50 of 103 of the Battle of Sychevsk, Russia. Russian Front - South: Day 120 of 248 of the Siege of Sevastopol, Crimean Peninsula. All German attacks against Sevastopol are stopped for the winter. CBI - Burma: Day 75 of 164 of Japan's Invasion of Burma. CBI - China: Day 1,696 of 2,987 of the 2nd Sino-Japanese War. Day 65 of 99 of the 3rd Battle of Changsha. PTO: The first American aircraft carrier, USS LANGLEY, is sunk by Japanese bombers. PTO - Borneo: Day 73 of 107 of the Battle of Borneo. PTO - Malaya: Day 8 of 357 of the Battle of Timor Island, a long guerrilla war ending in Japanese victory. PTO - Philippines: Day 81 of 152 of the 1st Battle of the Philippines. 5th Air Force provides air support. ETO - Germany: US 8th Air Force B-17s and B-24s attack the docks and surrounding areas of Wilhelmshaven. Russian Front - North: Day 537 of 872 of the Siege of Leningrad. Russian Front - North: Day 17 of 51 of the USSR's Operation POLAR STAR, a failed offensive north of Leningrad, hoping to take the southern shore of Lake Ladoga, Russia. Russian Front - North: Day 298 of 658 of the Siege of the Kholm Pocket, USSR lays siege to the Kholm Pocket but the Germans hold out for a about a year and a half. Russian Front - South: Day 8 of 25 of the 3rd Battle of Kharkov, Ukraine. The Soviets have taken Kharkov but will lose it again. Hitler orders all available troops to Stalingrad. MTO - Tunisia: Day 102 of 178 of the Battle of Tunisia. Germans launch a five-day counter-attack toward Bedja and Medjez el Bab in the north. RAF and US Air Forces provide Allied air support. MTO: US 12th Air Force: Lieutenant General James H Doolittle assumes command of the 12th Air Force. CBI - Burma: Day 68 of 104 of the 1st Battle of Arakan. US 10th Air Force provides air support. CBI - Burma: Day 19 of 79 of the Allied Operation LONGCLOTH. CBI - China: Day 2,061 of 2,987 of the 2nd Sino-Japanese War. PTO - Alaska: Day 265 of 435 of the Battle of Kiska, Aleutian Islands. ETO: Bad weather puts an end the BIG WEEK, which began on 20 Feb 44, during which 26 German aircraft factories hit had their monthly production reduced by 20%. More importantly, the Luftwaffe lost 355 fighters and nearly 100 pilots, which could not be easily replaced. Russian Front - North: Day 44 of 48 of the Battle toward the Narva River, Estonia. This drive helped lift the Leningrad siege and goes on to liberate Narva. Russian Front - North: Day 25 of 191 of the Battle of the Narva Isthmus, Estonia. Russian Front - South: Day 65 of 113 of the USSR's Dnieper-Carpathian Offensive in southwestern Ukraine. Russian Front - South: Day 28 of 31 of the Battle of Nikopol, Ukraine. MTO - Italy: Day 41 of 123 of the Battle of Monte Cassino. RAF and US Air Forces provides air support for the Allied ground troops. MTO - Italy: Day 36 of 136 of the Battle of Anzio. RAF and US Air Forces provides air support for the Allied ground troops. CBI - Burma: Day 59 of 99 of the 2nd Battle of Arakan. CBI - Burma: US 10th Air Force provides air support. CBI - China: Day 2,426 of 2,987 of the 2nd Sino-Japanese War. CBI - Indochina: US 14th Air Force provides air support. PTO - New Guinea: Day 161 of 219 of the Battle of Shaggy Ridge. 5th Air Force provides air support. PTO - New Guinea: Day 158 of 162 of the Battle of the Huon Peninsula. 5th Air Force provides air support. PTO - New Guinea: Day 74 of 597 of the Battle of New Britain. US 13th Air Force provides air support. PTO - Solomon Islands: Day 118 of 295 of the Battle of the Bougainville Islands. US 13th Air Force provides air support. PTO - Marshall Islands: A B-24 Liberator carrying Lieutenant General Millard Harmon and Brigadier General James Roy Andersen from Kwajalein to Hawaii disappears, never to be found. The two generals are declared missing and will not be declared dead for another year. Lieutenant General Millard Fillmore Harmon, Jr, Commanding General US Army Air Forces, Pacific Ocean Area, left Kwajalein in the Marshall Islands on 26 Feb45, en route in his staff plane (a converted B-24 Liberator) to his headquarters at Hickam Field on Oahu, Territory of Hawaii. "Miff" Harmon did not reach his destination and no trace has ever been found of the plane or personnel aboard it. 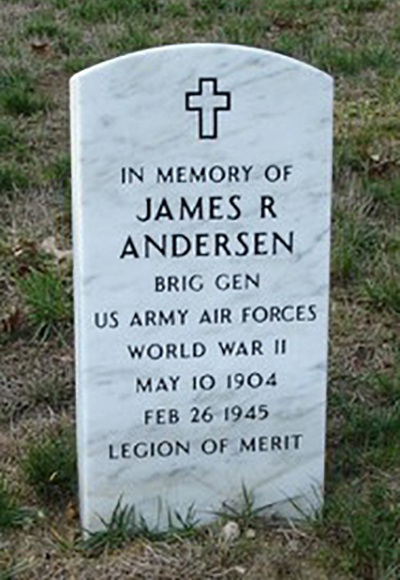 Among the personnel aboard was Brigadier General James Roy Andersen. Two US Air Force bases in Guam are named in honor of the two generals; Harmon Air Force Base and Andersen Air Force Base. ETO - France: Day 210 of 284 of the Battle of Brittany. ETO - France: Day 165 of 236 of the Siege of Dunkirk. ETO: Day 38 of 66 of the Battle to the Rhine. US 9th Air Force provides air support. ETO - Germany: Day 7 of 36 consecutive RAF night raids on Berlin. ETO - Germany: US 8th Air Force B-17s and B-24s attack three railroad stations in Berlin. Russian Front - Finland: Day 165 of 223 of the Lapland War. Finland and Russia have joined forces to kick the Germans out of Finland's most northern province. Russian Front - Center: Day 135 of 206 of the Battle of the Courland Pocket in Latvia. Russian Front - Center: Day 33 of 75 of the Battle of Königsberg, East Prussia (now Kaliningrad, Russia). Russian Front - Center: Day 32 of 63 of the Battle of the Heiligenbeil Pocket in East Prussia. Russian Front - Center: Day 17 of 54 of the Battle of East Pomerania, Germany. Russian Front - Center: Day 14 of 83 of the German Siege of Breslau (today Wroclaw, Poland). Russian Front - Center: Day 26 of 31 of the Battle of Schwedt, Germany. MTO - Austria: US 15th Air Force P-38s attack the Graz-Bruck an der Mur-Wiener Neustadt rail lines. CBI - Burma: Day 39 of 61 of the Battles of Meiktila and Mandalay. The US 10th Air Force provides air support. CBI - Burma: Day 37 of 39 of the Battle of Ramree Island. The US 10th Air Force provides air support. US troops have already won the island but will need a few more days to mop up. CBI - Burma: Day 23 of 99 of the Battle of Pakokku and Irrawaddy River operations in central Burma. The US 10th Air Force provides air support. CBI - China: Day 2,792 of 2,987 of the 2nd Sino-Japanese War. US 14th Air Force attacks targets in China and French Indochina. PTO: Day 8 of 36 of the Battle of Iwo Jima. US 7th Air Force provides air support. PTO - New Guinea: Day 427 of 597 of the Battle of New Britain. PTO - New Guinea: Day 311 of 481 of the Battle of Western New Guinea. 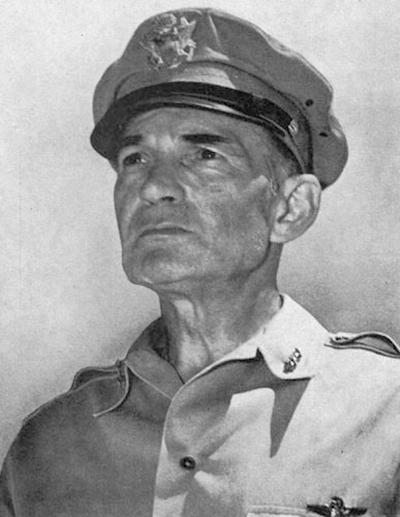 PTO - Philippines: Day 130 of 299 of the 2nd Battle of the Philippines, aka the Liberation of the Philippines or the Philippines Campaign. PTO - Philippines: Day 74 of 244 of the Battle of Luzon. 5th Air Force provides air support. PTO - Philippines: Day 24 of 29 of the Battle of Manila. US Marines land on Verde Island, to the southeast of Manila. Japan felt she had missed out on her chance for global expansion, and, during the 1920s and 1930s, a militaristic tone permeated, leading to attacking the Western Powers. The true story of Germany's most famous anti-Nazi heroine, a fearless activist of the underground student resistance group, The White Rose, that dared call attention to the evil being perpetrated by the Nazi regime and paid dearly for doing so.